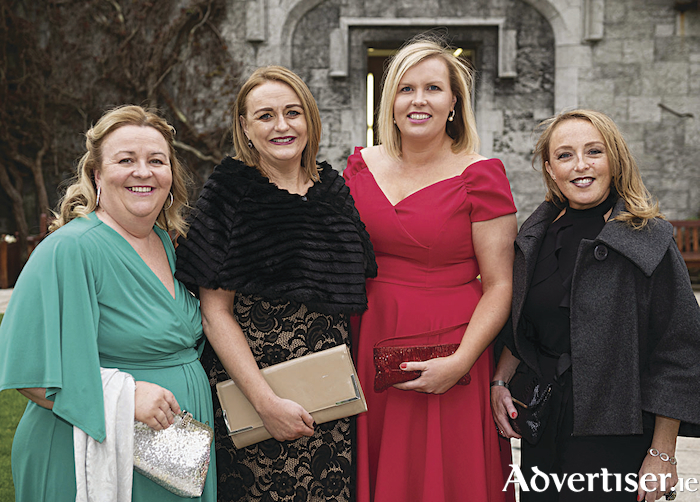 Pictured at the event were Cait Noone, GMIT, Jacinta Dalton GMIT, Elaine Donohue EU Region of Gastronomy and Sinead O'Halloran, Food Safety and Auditing Professional and Trainer. Photo:Andrew Downes, XPOSURE . Ballymaloe’s Myrtle Allen, CNN’s Culinary Journeys, Peruvian chef Gastón Acurio, AFAR Media USA, and Tourism Australia and partner Restaurant Australia have been announced as distinguished touRRoir 2018 Hall of Fame inductees at an event in Galway. touRRoir is a cross sector global forum on food tourism and culture, hosted by Good Food Ireland, which took place in NUI Galway this week. Inductees were honoured at a Chef’s Collaborative Gala Dinner in the university’s Aula Maxima on Monday evening. A number of VIP guests attended and accepted awards on behalf of the inductees, namely Matt Percival, executive producer and commissioning editor, CNN Vision for the CNN documentary series Culinary Journeys; Her Excellency Ms Carmen McEvoy, Ambassador of Peru for Peruvian chef Gastón Acurio; Julia Cosgrove, VP and editor in chief, AFAR Media for AFAR Media USA; John Hart, executive director, Restaurant and Catering Australia, for Tourism Australia’s Restaurant Australia; and the Allen Family for Ballymaloe’s Myrtle Allen. Other guests included HE Kevin Vickers, Canadian Ambassador; Seán Kyne, Minister of State at the Department of Rural and Community Development and the Department of Communications, Climate Action, and Environment; Kevin Kelly, CEO Galway County Council; internal delegates from three continents, as well as key dignitaries and business leaders. Other inductees to the Hall of Fame included Rene Redzepi, NOMA, Denmark; the Catalan Tourist Board, Spain; and the South Korean filmmaker Lee-Wook Jung.